Barcelona head coach Gerardo 'Tata' Martino hopes to mastermid a famous win at the Bernabeu. Barcelona boss Gerardo Martino concedes his side will have to beat Real Madrid at the Bernabeu on Sunday if they are to have a chance of retaining their Primera Liga crown. Three defeats in their last seven matches have left Barcelona four points adrift of Real with 10 games remaining. And with Real not having lost since the sides last met in October, Martino knows falling seven points behind will probably be a gap too much for his side to overcome over the last six weeks of the season. 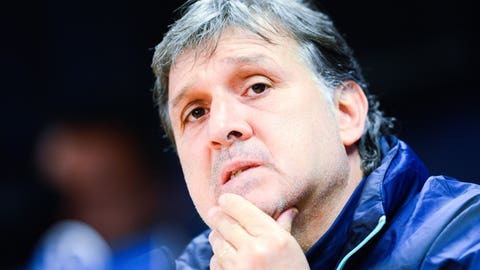 "I think it is probably the last chance we will have because after this game there are only nine games left and it is not the same thing to come back from one point behind to four or seven," said Martino. "Teams at this point of the season, particularly those ones fighting for the league, don’t make that many slip ups. "I don’t think a draw is a good result for us. 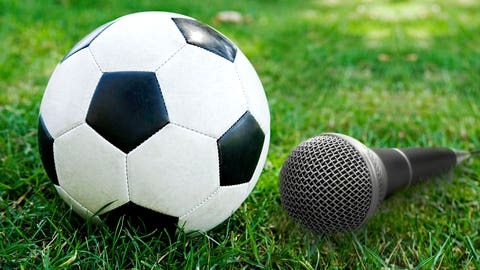 The circumstances of the game always indicate whether it is a good result or not as well, but I think it is clear that we need to win the game on Sunday. "It is true that there have been games away from home where we have not played well, but there have also been some important ones where we have. "We have to think more about what we did in Manchester than what we did in Valladolid and try to aim for that type of performance." Martino has also backed Neymar to show his critics he is worthy of a place in the Barcelona side and repeat the performance he put in against Manchester City in the Champions League in midweek. The Brazil forward has been underwhelming in his first season in Spain with many headlines being made off the pitch, surrounding the controversy over his transfer from Santos last summer. "Firstly, I think he played very well against Manchester City in the second leg and, secondly, I will reaffirm what I have said many times that Neymar is one of the top five players in the world," Martino added. "I don’t need to see one match, half a match, nor even 10 matches to confirm the qualities that he has. I don’t think it will be long before people stop talking about him like just another player because he isn’t."